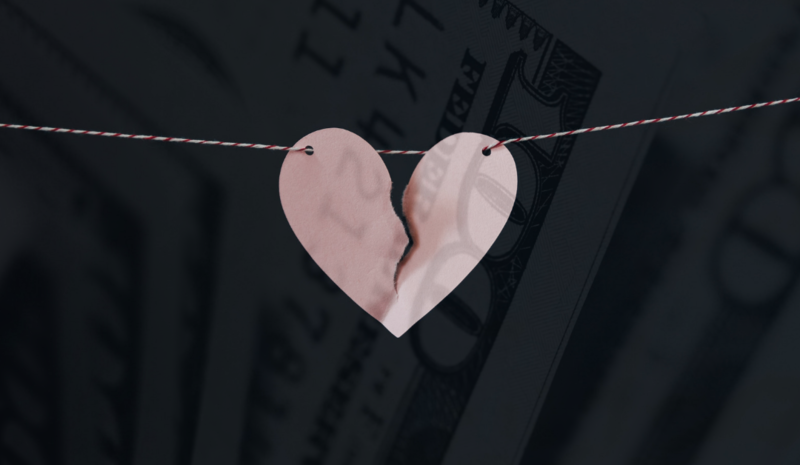 In the realm of matrimonial law, we have the cliché “it always comes down to money.” Unfortunately, because there is more money involved in high net worth divorces, there will likely be more issues and certainly more complexity. Your high net worth divorce will most likely be complicated and taxing, both emotionally and financially. As you start your journey through a high net worth divorce, it’s critical to understand that your divorce will be different than others’ you have heard about, largely because of the many variables that will be involved. This guide will help you understand what to expect. What Does It Mean to Be High Net Worth? The term “High Net Worth” is an identification that is given by the financial services industry to a person or family with assets over a specified threshold. Although this number can change depending on the organization you are working with, you are generally considered high net worth if you have over 1 million dollars in liquid assets. Liquid assets are defined as “cash on hand” or any other assets that can be converted into cash quickly. Client/Law Firm Relationship – expect a higher level of attorney access and overall service from firms that cater to high net worth individuals. Normally, you will have direct access to your representation and will have a dedicated team of law professionals working on your case. The Courts – the courts will move even slower than normal in high net worth divorce cases. This is because there are so many moving parts to your divorce, from asset valuation, to spousal support and taxes. Cost – The cost of a high net worth divorce is high because of the amount of time it takes for the case to conclude. We frequently suggest settling high net worth divorces out of court in the interest of saving your hard-earned money and not spending your child’s college tuition on divorce proceedings. Forensic Accountants – in your marriage, you have most likely acquired various assets. These assets have value, and for the courts to be able to distribute the assets fairly, values must be placed on every single asset. Valuation Experts value businesses, real and personal property, art, and jewelry. This is one of the most in-depth, complicated, and contentious parts of a high net worth divorce. International Implications – the web of moving parts in a high net worth divorce can be further complicated when there are assets that are subject to the laws of other countries. International laws can also play a role in child custody and spousal support. Tax Issues – tax implications play a large role in determining your final outcomes including spousal report, asset distribution, and who is able to claim a child as a dependent on their tax returns. Publicity – many high net worth individuals have a public presence, and oftentimes in divorce, there is unwanted publicity that must be handled appropriately by your representation. Spousal Support – Oftentimes there is some element of spousal support, where one spouse must continue to provide income to the non-wage-earning or lower wage-earning spouse. This is meant to limit the unfair economic effects of divorce. Spousal support payments can oftentimes be quite high in high net worth divorce cases. Whether you are on the receiving end or the paying end of alimony, this is where your law representation’s expertise really shines. The Children’s Well-Being – we always urge our clients to put the health and well-being (physical, mental, and emotional) of their children in front of any other priority. No outcome is favorable if your children are hurt or disadvantaged by the ruling or process. Distribution of Assets – determining how assets will be distributed is one of the most contentious parts of high net worth divorce. Equitable distribution is the goal of the courts, but the intricacies in determining what assets are allocated to whom are extremely complicated. For example, you most likely do not want to be left only with assets that require large out of pocket expenses such as taxes, insurance and maintenance, such as a beach house. This is an illiquid asset. You’ll require some amount of cash and liquid assets. Spousal Support – spousal support or maintenance is often paid to the non-breadwinning spouse to help them maintain their lifestyle and to give them time to develop job skills that would allow them to support themselves. This is a complicated and partially subjective process, as there are no laws to dictate court decisions. These are generally the primary goals of any high net worth divorce. Yours will be different depending on if you are the breadwinning vs the non-breadwinning spouse. The are many variables that determine what objectives you find negotiable and what you aren’t willing to budge on. High net worth is a fluid and changing process that necessitates legal expertise in working towards YOUR primary goals. It’s critical to understand the priorities of each player involved in your divorce. Each does have their own priority, and their priorities are always working against yours in some way. How Much Does a High Net Worth Divorce Cost? The cost of a high net worth divorces, like most things, depends. There is the actual monetary cost of the divorce proceedings, the cost to your net worth after the divorce is completed, and also the emotional cost. The monetary cost of your divorce will depend on the complexity of your divorce. The more complex the divorce (think spousal support, asset valuation, custody, and taxes), the more it’s going to cost, because the more professionals will need to be involved, and the more time those individuals will need to spend on your case. This amount can be anywhere between $50,000 to $150,000. The cost of divorce on your net worth will be higher than the actual cost of the divorce. In many cases, you’ll be splitting the value of your assets in half. This is the true cost of your divorce. Barring any nuptial agreement, you’ll be leaving with much less than what you had in your marriage. Finally, the emotional cost of divorce for BOTH spouses is always high. Ceasing a relationship is never easy and becomes harder and harder with every added variable. Frequently, there is publicity involved in high net worth divorces, which only exacerbates the emotional costs. Should You Settle Your High Net Worth Divorce? Yes. A divorce processed geared toward settlement instead of litigation is our recommended approach. It can cut the cost of your divorce in half, and will leave you, your spouse, and your children happier. Real Estate – any real property, including your home. Stocks & Bonds – often, high net worth individuals have substantial investments in the form of stocks and bonds. Retirement Accounts – IRAs always store high amounts of money, as they are almost always maxed out in high net worth relationships. Business(es) – if you own interest in a business, there is value to assign to this asset and it must be considered. Jewelry – jewelry acquired in your relationship must be accounted for. The only exception is family heirlooms. Vehicles – most high net worth individuals have substantial money in their vehicles. Insurance Policies – some insurance policies have a cash value. Household Goods – these are the assets residing within your home – anything from furniture to electronics. Debt Repayment – many high net worth individuals take out loans. The repayment value on these loans is considered an asset. Cryptocurrency – high net worth individuals often invest in cutting-edge technologies and opportunities. These are also divisible in a divorce. The way value is assigned to your assets is not really any different from other divorces. The main differentiator comes in the amount of assets and the professionals involved in determining the value of those assets. Aside from the sheer quantity of assets, you’ll be leveraging professionals including appraisers, accountants, and investment advisors. Assigning value to your assets is one of the most contentious and complicated parts of your divorce. Many times, it can be seen as objective, for example when dealing with real estate. Assigning valuations to your assets will take time, but is worth the investment. What if My Spouse Hides Assets in Our Divorce? Partners often attempt to hide assets during the divorce process. This tactic becomes more common the more assets exist in a marriage. However, these assets can and will be uncovered, with time. Hidden assets are discovered through discovery interrogatories, and through the provision of documents from your financial institutions. This is where forensic accountants will meticulously scrape your financials to find any discrepancies or signs of hidden assets. We then follow those leads where they take us. Prenuptial agreements are common in most divorces. The importance of a prenup increases as assets increase. Individuals want to protect their assets, and there’s no way to argue with the fact that 50% of marriages end in divorce. But, know this, all nuptial agreements are different and are enforceable to different degrees. New York has a strong deference to parties entering into contracts to determine the parameters and economic impact in the event of a divorce. If you signed a prenuptial agreement at the bequest of your spouse, you should always contact an attorney to help you navigate your divorce. The official process of a divorce is really no different from any other divorce. You’ll file or be served a petition, attend a temporary hearing, and then either settle or go to trial. The main difference in process happens between the lines. The hard-fought negotiations, meetings with professionals such as your accountants, and any publicity are par for course. This “between the lines” process is what can truly make a high net worth divorce hard and time consuming. It’s the reason you must hire an experienced attorney. Like most professionals, not all legal professionals are created equal. This can show up in their experience and in their intrinsic qualities. No matter your position in your high net worth divorce, you must work with legal representation that has experience with this specific type of divorce. There is no substitute for this experience. When interviewing your high net worth divorce attorney, take your time. We can’t stress the fact that you must be able to trust this person entirely. They are the one who will have your back and act in your best interest during your divorce. Use our 7 Step Guide to Vetting Your Family Law Attorney to get started, and then formulate your own list of qualifications. All divorces are hard, but high net worth divorce are extremely taxing. If you are in the midst of or are just starting a high net worth divorce, contact the experienced professionals at the Law Firm of Poppe & Associates for a complimentary consultation.